Click here to read or to know the best essay on Saraswati Puja and Paragraph. Saraswati Puja is dedicated to the goddess of music, art and knowledge called as Saraswati. This festival is celebrated in January or February in the month Magh also called Basant Panchami or Vasant Panchami. During Saraswati Puja Brahmins are fed, god of love Kamadeva is worshipped, special prayers for goddess Saraswati are organized by many educational institutions, Pitr Tarpan or ancestor worship is performed and children are taught to write their first words. On this day, the yellow color is considered very important and therefore people dress up themselves in yellow color clothes, consume yellow sweets, and worship Saraswati in yellow clothes. The goddess is offered yellow flowers, gulal, fruits, yellow colored sweets, roll and more. Goddess Saraswati is represented as a graceful woman in white, a symbol of purity and peace. She is the Goddess who signifies knowledge, learning, arts, and culture. She is seen as the serene Goddess wearing a crescent moon on her brow riding a swan or seated on a lotus flower. Saraswati Puja is performed to pay allegiance to the Goddess of learning. Goddess Saraswati is the presiding deity of the spoken word. She is considered to be Lord Brahma's ‘maanasa putrika' though later events led to their marriage and they began to be worshipped as the primordial couple. Mounting on her divine vehicle Swan, she plays on Kachchapi, her veena and is worshipped as the presiding deity of all knowledge. She resides in Satyaloka along with her consort Lord Brahma. Narada, the celestial saint is their ‘maanasa Putra'. The legend has it, that once Lord Brahma utters a lie of having sighted the nether portion of Shiva Linga and Lord Shiva, angered by the false claim curses Brahma that his speech (Saraswati) be converted to a river. It is believed that the dry parched region of the present day That desert is at one time a stretch of River Saraswati. To this day, scientists believe that the river still flows underneath the Thar and attempts are on to trace the river. At any confluence of two rivers, Saraswati is deemed to be hidden underneath and thus the place assumes the nomenclature Triveni. Ganga, Yamuna and Saraswati rivers in Prayaga, Pranahita, Godavari and Saraswati rivers in Kaleswaram (Karimnagar district in Andhra Pradesh) are a case in point. The term Saraswati envelops a vast expanse of meaning ranging from Vaagdevi, river, Vedamata and to the giver of knowledge. The celestial mother Aadishakti manifested herself as Lakshmi, Parvati, and Saraswati. Hence Goddess Saraswati is considered to be the very epitome of Sakthi or Cosmic Power. Not only mortals, but even the celestial beings in Heaven are said to be the beneficiaries of Saraswati's benevolence. Her shower of mercy empowers speech and all other fine arts. Poets have sung her glory saying that her breasts are centers of nourishment, especially for music and literature. The word Saraswati means a string of rivers. The goddess is also known by synonyms like Braahmi, Bharati, Bhaasha, Geeh, Vaak, Vaani, Saarada, Saraswati, Maha Sookta, Kaadambari to name a few. All the letters of the alphabet are considered to be the different forms of the goddess. Saraswati beams a pristine white mounting on a white swan. Dressed in white she wears a garland of white pearls. We play on the divine veena with a lace of beads in one hand a book in the other. She also adorns parrot in one hand and a lotus in the other. Saraswati temples dot the whole stretch of India and also in places like Tibet, Java, Japan, and China. She is worshipped not only by Hindus, Jains, and Buddhists but also by people all over the world. The Chinese worship her as Neela Saraswati, an Indian version of Syaamaladevi. Mahaakavi Kalidasa composed Syaamala Dandakam in praise of Syaamalaamba. The most ancient temple of Saraswati is in Kashmir. Saraswati's idol belonging to the second century was unearthed in Khajjaali Leeta near Mathura in Uttar Pradesh. Samudragupta and kings belonging to Gowda dynasty engraved Saraswati images on their coins. Saraswati's idol is present in Somnath, a Buddhist pilgrimage center. Her idols are to be seen in the British Museum and also in museums in Allahabad, Lucknow, Dhaka, and Gwalior. There is a Saraswati temple at Basara in Mudhol taluq in Adilabad district (Andhra Pradesh). An idol of Saraswati dating back to 2 BC is present in Ghantasaala in Godavari district (AP). Similarly, we find the idols of this goddess in Samalkot and Bheemavaram. Brihadeswara temple in Tanjore, Halebeed in Karnataka, Madhura and Sree Rengam temples in Tamil Nadu. Adi Sankaracharya consecration of Saraswati idol in Sringeri is quite a significant one. Of late, an idol of the goddess was consecrated in Sanigaram, near Sidhipet on Hyderabad-Karimnagar Highway in Andhra Pradesh. An idol by Birla in Rajasthan, Kaaleswaram and at Shakarmutt in Hyderabad are worthy places of worship. Goddess Saraswati is deemed to have born on Sudha Panchami in Maagha (February according to the English calendar). Hence celebrations to mark her birthday on Vasantha Panchami take on in all the Saraswati temples. She is also worshipped in the form of a book during Dussehra on Saptami or seventh day when Moola Nakshatra is on the ascent. In Maharashtra, Saarada Navaraatri is celebrated during Dussehra from Saptami to Dashami. Idols of Mahakali are worshipped and later immersed in water. Saraswati pooja can be taken up either on Maagha Panchami day or on Moola Nakshatra in Dussehra. For those who wish to worship her every week Thursday is said to be her favorite day. For those who wish to worship her every day, can chant 108 (Ashtottaram) attributes or 100 attributes (Satanaamam) and 100 names of Goddess Saraswati available in booklets. A photograph or illustration of Goddess Saraswati should be placed on a slightly elevated platform with an ‘SREE', which symbolizes the goddess in the letter. This symbol should be written five times on a pair. Holy books like Ramayana or the Bhagavad Geetha should also be placed. Turmeric, Kumkum, unbroken rice grains, incense sticks, camphor, betel nuts, leaves, two oil lamps, fruits, sugar, panchaamrutam (a mixture of sugar, milk, honey, curds and ghee) are required along with coconut, sandalwood, flower garland, a new piece of cloth, Saraswati pooja book. Offerings, which are white in color like creams, milk, parched paddy, parched rice, jaggery, gingelly balls, sugar cane, white rice, coconut and white flowers are said to be her favorites. At the end of the pooja, it is conventional to render a few songs or slokas followed by her Mangala Bharathi and Mantra Pushpa. The glory of this divine mother is sung by various saints and sages and there are many books which sketch out the greatness of this goddess. To begin with, Vyaasa, Vaalmeeki, Kaalidaasa, Brahma, Vishnu, Shiva, Agastya, Sankaracharya, Bhoja Raja, Ganesha, Surya, Rama, and Indra authored Saraswati slokas. Among the poets of Andhra, starting with Nanny, the foremost of all poets, every one of them sang her glory in their prose and poetry. Saraswati Puja is celebrated in honor of the goddess Saraswati who is the goddess of learning and knowledge. Goddess Saraswati is worshipped by the people in West Bengal in the month of Magh. She is seen as a beautiful woman and has four arms. Usually, the goddess is shown wearing a white spotless sari and is seated on an inverted white lotus or riding a swan playing the Vina. The white color of the sari is the sign of purity. There are a number of books by her side. The inverted lotus represents 'a search for knowledge' and the white swan is the vehicle of the goddess. The Vina represents harmony. Saraswati Puja is celebrated in the Magha month, i.e. January - February. The puja is done during a specific time and period. Saraswati Puja is celebrated at home as well. Homes are decorated with decorations and several forms of artwork. Students place books near the goddess and worship her to obtain the gift of knowledge and blessings to do well in their studies. Reading books or studying is not allowed on this day. Children and students are happy on this day as they do not have to study. Once the puja has been conducted by the priest and celebrated by family members, 'Prashad' is distributed to family members and neighbors. Flowers and leaves of Tulsi, mango blossoms, and barley sheaves are offered at the goddess's feet. There is a lot of fun and excitement on Saraswati Puja. At the conclusion of the puja, the goddess is worshipped once again and the books are removed. The deity is then taken for immersion the next evening. This concludes Saraswati Puja celebrations. Students enjoy the festival with great excitement and happiness. Saraswati Puja is celebrated across the globe by the Hindus. This festival is also known by the name o the Sripanchami festival and is observed on the fifth day of the spring festival on a full moon day in the month of Magh (January-February). The word Panchami means five. The Saraswati Puja festival is related to the Kaumudi Utsav and the Basant Utsav. Saraswati Puja marks the beginning of the Vasant Utsav and is celebrated for a period of fifteen days by the people of Uttar Pradesh till Dolepurnima or full moon day. This puja or worship of the deity of knowledge, Saraswati is done to invoke the blessings of the Goddess. She is the epitome of learning and the Goddess of Novak or speech. The word bank is derived from Sanskrit and is known as flowing one. She represents the fusion of intelligence and power which marks the inception of creation itself. She is the Goddess of fine arts, such as poetry, dancing, music and is also the Goddess of learning. The Saraswati Puja is celebrated with a lot of gusto and zeal all over India but in South India, it is only restricted to temples, unlike the eastern and northern Indian states, where it is a household affair. Enumerated below are some of the rituals of Saraswati Pooja. The idol of the Goddess of wisdom is placed on a tool covered with a Basanti or mustard colored cloth and books are piled up in front of the Goddess, including the Ramayana and the Bhagwad Gita. Chanting of shlokas, mantras from the holy texts, doing art while singing hymns in praise of the Goddess and ringing of bells form a vital part in the commemoration of this puja. Kheer, cream, curd rice, parched rice, milk, gingerly balls, parched paddy and candies of sugarcane sugar are offered to the Goddess of learning. Kumkum, betel nut, turmeric, fruits, unbroken grains of rice, new cloth piece, coconut, sandalwood paste, white flowers, incense and two ghee lamps are the other offerings made before the Goddess. Along with books, pens and pencils are placed in front of the statue of the deity urging her to bless the books, so that the students secure good marks in the examinations and attain high wisdom and knowledge. During Saraswati Puja obeisance is paid to the Goddess to invoke her blessings to excel in dance, science, and music. 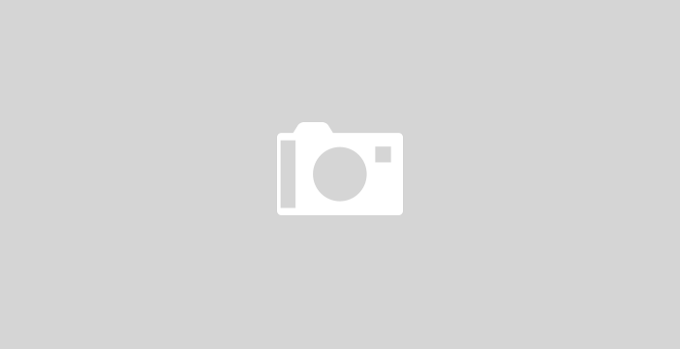 She is the grantor of memory, knowledge, and intelligence. She bestows happiness, the power of reasoning and fame on her devotees. 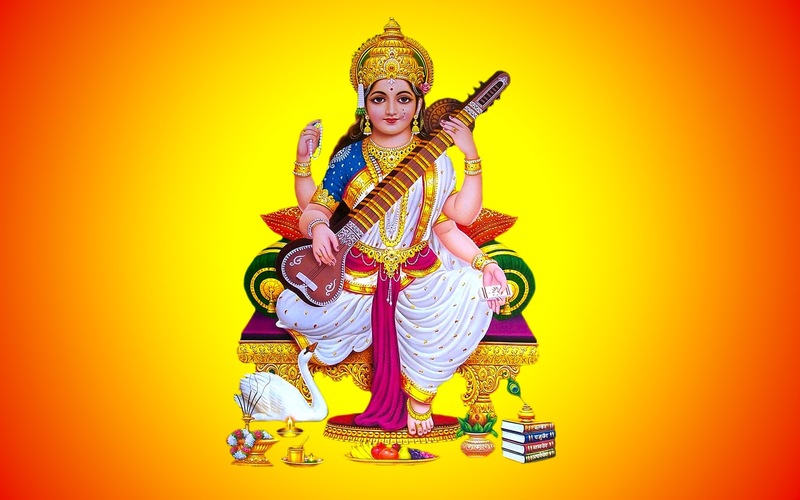 Worship of the divine Goddess of learning Saraswati begins with Saraswati avahan, which is the invocation of the Goddess when the primary star or moola nakshatra is on accent and the puja concludes on Vijayadasami. This beautiful Goddess of music and learning is clad in a white saree and flaunts Vedas, veena and crystal rosary in her hands. She is believed to reside in the celestial sphere of Brahmaputra along with Brahma. She is the embodiment of the highest form of learning and wears a crescent on the forehead. As Saraswati is the Goddess of learning, it is a popular festival among students in various parts of India, namely the stares of Orissa, West Bengal, and Bihar. Schools and colleges remain closed on the day of puja and it celebrated on the fifth day of the month of Maagh (January-February). The worship takes place on Vasant Panchami when the paddy field is in full bloom and hence it is also considered as a harvest festival. Students gladly stay away from their books on this day and a learned priest performs the rituals of the puja. Some variations of the idol of Goddess Saraswati are also worshipped. She is depicted with eight hands, five faces and represents additional powers. The additional objects held by her are pasha or noose, chakra or disc, trishula or trident, shankha or conch, Padma or lotus or ankusha or goad. She is either seen riding a peacock or swan. Peacock represents beauty, whereas the swan presents wisdom. The idol of Saraswati is placed in the hall and is beautifully decorated with flowers, such as rose, Palash, and marigold. One important ritual observed during the worshipping of Goddess Saraswati is breaking a coconut in front of the idol. “Kool” or berry is a very important fruit of the festival. Along with berries cream, curd rice, Kheer (rice pudding), parched rice, milk, gingerly balls, parched paddy, role, pan, clarified butter, curd, ghee and candies of sugarcane sugar are offered to the deity. After the worship of the Goddess concludes the cut fruits or “Prashad” are distributed by the students, guests, and teachers. Cultural programs are also held in schools and colleges after the worshipping of the deity is over. The day is celebrated with a lot of verve and excitement. Grand feast is arranged by students and the immersion of the idol takes place the following day. With a lot of fanfaronade and pomp the idol I the Goddess is carried to a nearby lake or river by the students for the purpose of immersion. There is an educative value of the Saraswati Puja festival. Students learn how to be spiritual and respectful. They learn qualities like leadership, team building, co-operation. It instills the feeling of brotherhood and teaches the students to interact with each other peacefully and strengthen the bond of friendship. 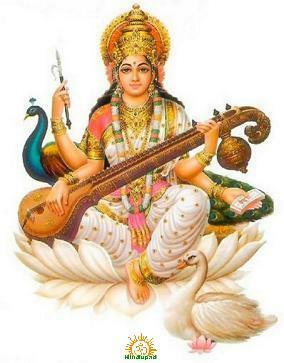 Goddess Saraswati is regarded as the goddess of learning and music. It is believed that she is robed in white. She carries a lyre. She is seated on a lotus. She bestows vidya which means learning. Therefore, the Saraswati Puja is-a popular festival of the Students. It is celebrated by the Students in almost all schools and colleges of Orissa, Bihar and West Bengal. It is celebrated on the fifth day of the month of Magha, especially in the spring season. Therefore this festival is also called the Basanta Panchami. All educational institutions remain closed on this day. Students worship, the goddess with great joy. Preparation for the celebration begins with the collection, of subscription from the students. The idol of the goddess Saraswati is placed in a hall which is properly cleaned and decorated with colored papers. The idol is also decorated with such flowers as marigold and rose. The image looks sublime and the atmosphere grand. This is an auspicious day for the students. They abstain from reading and writing on this day only as a mark of respect to the goddess. Notwithstanding this austere observance, students enjoy this festival with great pleasure. A learned Hindu Priest is invited to perform the holy Puja of the goddess. Normally students wear a new dress on this day. They pray the goddess for wisdom; they also offer flowers to the deity and sing the prayer-song in her honor. Another remarkable feature of the Puja is the breaking of coconuts in front of the deity. The Prasad is shared by the students, teachers and the guests. Often, the students arrange feasts. Cultural programmers are also arranged on the evening. Normally, the immersion ceremony takes place on the next day. The students carry the image of the goddess in a grand procession to the nearby river. Often a band party is also arranged for the purpose. The celebration comes to the end with the immersion of the idol. The function has a deep educative value. Students learn to be spiritual in their life. They also learn the value of co-operation, amity, and leadership. Bengali students wait for Saraswati Puja so eagerly that they might not have waited for their birthday. Sure, Durga Puja is the biggest celebration of West Bengal but, they will always check the Saraswati Puja date first as soon as the calendar arrives. Right from the time of preparation to the post-puja functions, it would be an eventful week for every pupil. But, honestly, it was the senior year when you felt like the stars of the school. Probably that was the only time when putting labor for a school assignment didn’t feel tiresome. So, here are a few things related to Saraswati Puja that made the school life happening for everyone who studied in West Bengal. That one invitation was the pass for entering the school that, according to you, has all the cute girls or guys of your city. You have ditched your BFF for grabbing the ticket to the most happening school at your place. If you get lucky, you might have got a grand reception from their principal but it was nothing in front of the greetings you receive from your friends on returning. This was the time of a year when art students became the school celebs and ruled it like a boss. School decoration and exhibition were their claims to fame and they won’t let you forget their superiority in this one week. If you were in the group of artists, you have surely enjoyed the spotlight and all those appreciations that were showered on you. All the pupils who have ever attended the puja of school will remember the moment when all the students line up in front of the deity for puspanjali. Unlucky were those who used to stand farthest from the deity as their flower never reached the goddess. It used to land upon the heads of those who stood in the front rows. Although the front row students were not much luckier either. The next half an hour went to drag out flower petals from their hair. If there was something better than attending Puja with the friends, it was eating with them in the school. It was not like any other day when you would have lunch together. This time there will be the teachers who would request the students to have lunch in an extra sweet voice and they will also serve it for you. And you can still remember the taste of delicious dishes. 4. You are not allowed to study! Saraswati Puja is the ultimate day for flaunting that desi swag. Your fashion quotient could go up in a day and it depended on your ability to carry a proper Indian attire in style. You have bought or borrowed a sari or kurta only for the day and have done some rehearsals as well. It would be a day when the entire city will turn into a fashion ramp and the schools and colleges will be the best places for finding the finest fashionistas.